The Gurkha Brandh is known throughout the industry for creating super premium cigars that are unrivaled in quality. Its rare and exotic blends are comprised of the finest tobaccos available. Every line extension offers a unique and incredibly enjoyable smoking experience. The Gurkha Toro 5- Cigar sampler is a selection of some of the company’s outstanding work, all featured in the popular Toro size. Ranging in strength from mellow to full, the Gurkha experience awaits you with this fantastic assortment. An interesting variety of smokes and a good price. The first stick I tried was spicy and robust and burned perfectly, can't wait to light up the rest. Gurkha sampler. Great way to try the different cigars that offer. 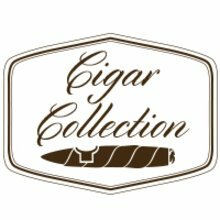 Five different cigars at a great price. Beautiful look and smell. First two have been fantastic and looking forward to a change to try the remainder. Great value. I've had two of these sticks out of the sampler and I have to say Gurkha is now my favorite brand. Great flavor and construction. They are a must have for anyone's humidor. Overall a pretty good sampler, 3 out of the 5 cigars are actually worth the smoke. The beast gurka is not very good . This five pack sampler of Gurkha is a great way to discover the great range of flavors by a well regarded cigar maker/blender for such a fantastic price. This sampler is a great way to discover the goodness that is Gurkha. Great selection to learn from. I had some issues with two consecutive orders from Jr. Cigars involving Gurkha. This could have been the end of my patronage of the site under normal circumstances. However through the diligence of the managers, and Omar - a great customer concern agent. I'm purchasing this sampler and writing this 5 star review. Life nor cigars will be perfect but how you handle life's imperfections And cigars as well) can be. Well done people. 👍🏻👍🏻 excellent set of cigars. I'm a huge fan of the Gurkha brand. Any cigars they put out I'm willing to buy and try, samples or not. Gurkha's are the type of cigars you smoke on perfect occasions that fit for a great smoke. I highly recommend it even if your a newbie. Find a mild cigar and then work your way up. This is a very well constructed cigar with mild flavor. I have purchased this cigar in the past and I plan to purchase this cigar again. Love these guys..I've always had a good smoke on all of these and I would def buy again. Thanks guys. This is a pretty good sampler. It is a great way to try several Gurkha cigars. Some of these are great cigars, but a few are just ok. Construction was pretty good on all of them. Horrible.. So far I've smoked three of these, and the draw is terrible. These sticks will not stay lit. I've never smoked a gurkha before, but I've been told they were some of the best around. Honestly.. these are the absolute worst cigars I've purchased from this site. Maybe I just got a bad batch, but even the cheap imitation sticks I've ordered from here are better. May try a Gurkha again... but with so much choice out there.. it's not a priority. I would recommend this sampler as an everyday smoke option. Some solid smokes are included, but mostly just ok.